I must say that I was surprise when I received the pearls. They look so fancy and good quality. They come in a set which it was a plus for the price. I was thinking about giving it to my sister for her birthday instead I kept them. Give yourself a sultry and shimmering look with this adorable jewelry set from DaVonna. 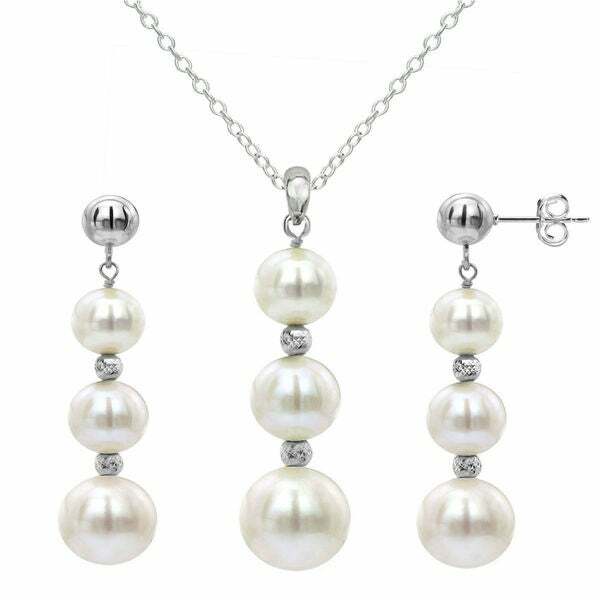 Set features white round freshwater pearls and beads in a graduated design. Jewelry set is crafted of shiny sterling silver and secured with silver clasps. This set is just beautiful, the pearls have a fabulous luster and the beads in between the pearls sparkle. I love this set, it is so feminine.